Jagmeet Singh's message of hope, love, and courage unites us all. Our riding association is proud to congratulate Jagmeet Singh on his victory as our newly elected leader. We were neutral in the leadership race with many of us supporting different candidates. Today, we salute all four of the candidates who put their names forward and worked tirelessly to grow our party. 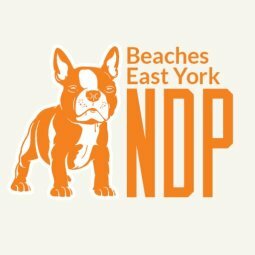 Here are a few photos from Jagmeet Singh's bike ride through Toronto East and his visit to Zav's Coffee Shop at Danforth and Woodbine Ave.